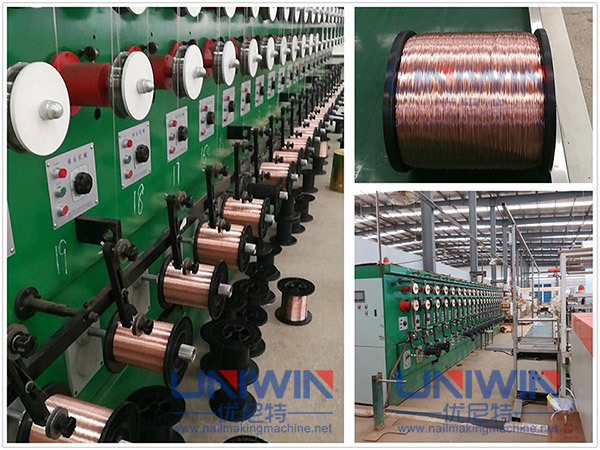 The welding wire of coil nails is used for welding the nails into coils through the coil nail callator,it is low carbon steel wire with heat treatment and coated a layer of copper. 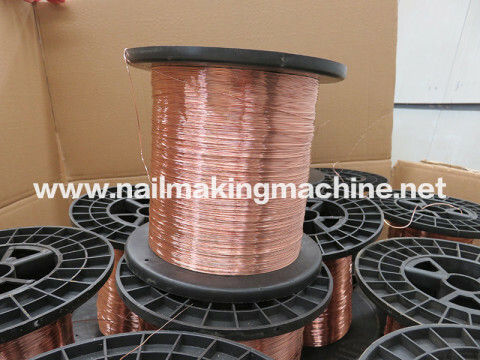 This kind of type welding wire has a good welding performance and strong anti-oxidation ability, if use it to welding coil nails, the welding between nails and copper coated welding wire is more strong and not easily break off, and also when the nail gun is used for firing, the steel nail and the welding wire are easily detached. 50-80mm nails, use 0.7mm welding wire. less than 50mm nails, use 0.6mm welding wire. 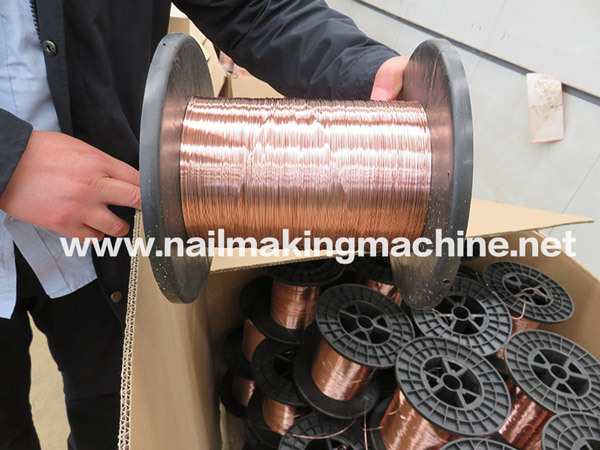 Normally, 1 ton coil nails, it will used around 20kg copper coated welding wire. 1, the high speed welding can be achieved to more than 2500 pieces per minute. 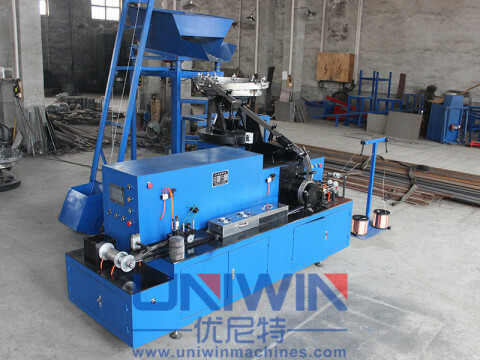 If the worker is very familiar the coil nails welding machine,it can reach three thousand to four thousand per minute. 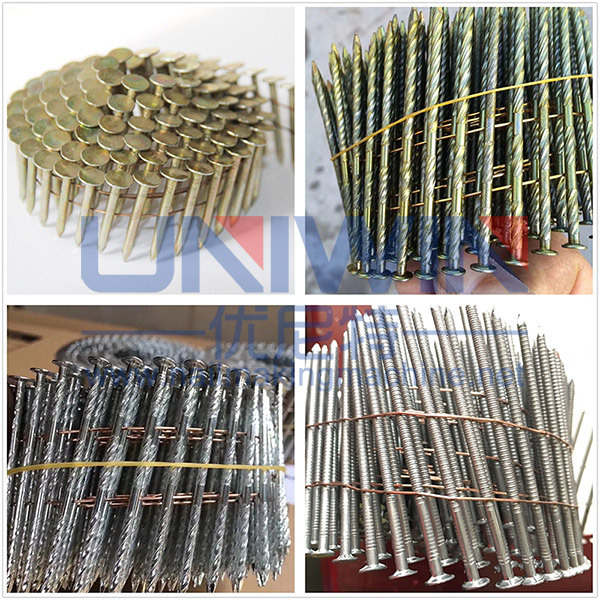 2, It can weld ordinary smooth nails, ring nails, screw nails, thread nails, cold galvanized roll nails, hot galvanized roll nails. 3, The welding point is strong and no black, for the whole row of nails can be rubbed by hand more than 6 times without breaking. 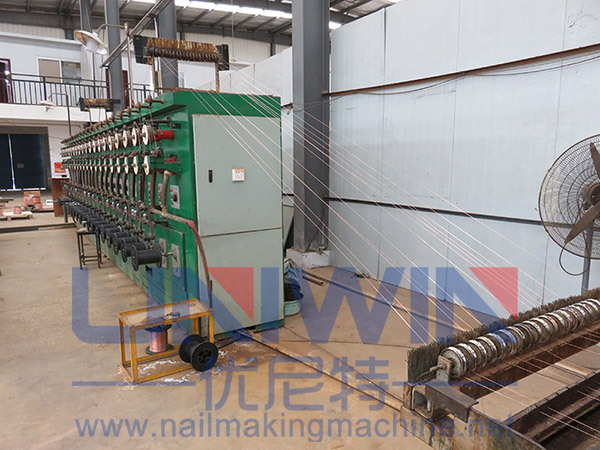 4, Use coil gun fire the coil nails to test the 300pcs nails, there is no one flying nails. 5, For Welding wire, the anti rust effect is good, if don’t open the packaging box, it can be reached for 12 months without rusting under wet weather. For our welding wire, tensile strength is 360-380MPA and the extension degree is controlled at about 15%, and has a good antirust effect, bright color, reliable quality. 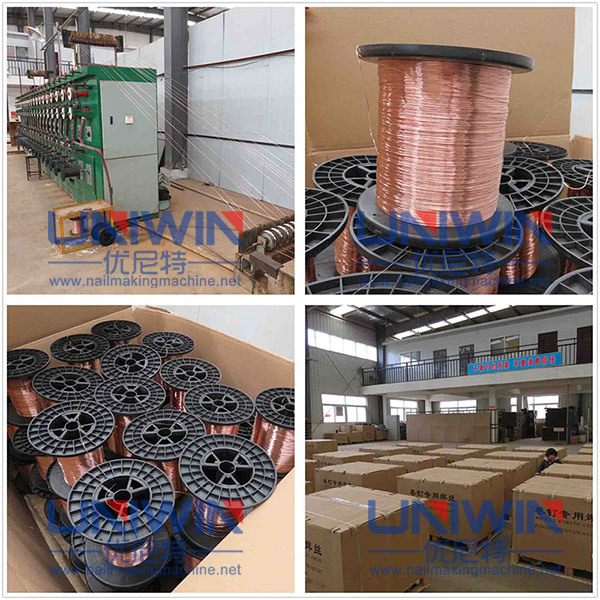 We also supplier the welding wire for the large-scale coil nail manufacturers in China, Our welding wire is very popular in the middle East, North America , Europe, etc and have exported to Turkey, Mexico, Argentina, Europe, Dubai, Saudi Arabia, etc for many times. Wish to be your stable supplier in China for the coil nail welding wire.